You may have seen me post on Twitter about the fact that I have recently returned from a wonderful three week vacation in New Zealand. (I posted a summary of some of our favorite things during the trip over on my travel site, and will write more about the trip there soon.) It had been a while since I’d been to New Zealand in the summer, and this vacation reminded me just how nice New Zealand summers can be! 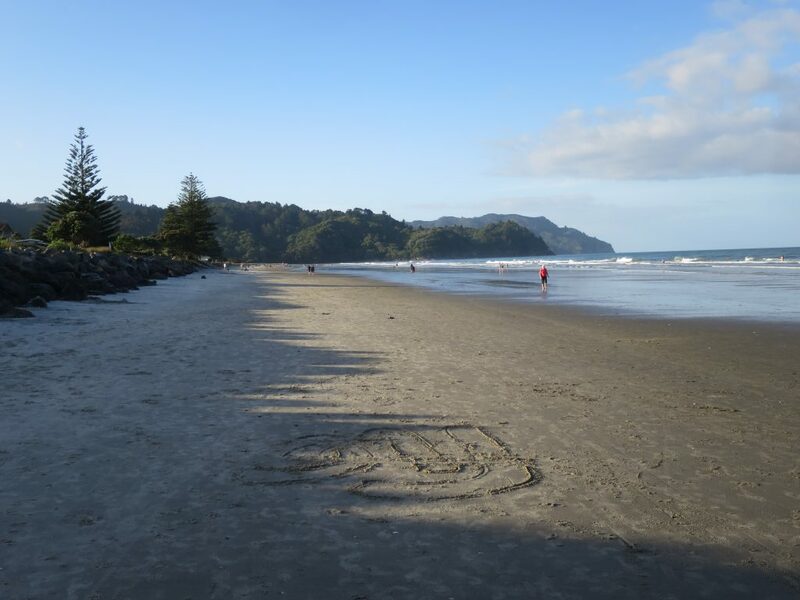 A traditional New Zealand beach holiday involves a lot of time on the beach, an ice cream every day, and not much else. It was glorious. The beach house we rented in Waihi Beach was originally listed as having wi-fi, but by the time we got there, the wi-fi was gone. I could send texts and had free data on my phone, but was throttled to 2G speeds, so wasn’t interested in doing much on my phone if I could help it. My husband didn’t have data at all. We were both delighted with this situation, because it meant we really relaxed. My husband, on the other hand, doesn’t like soft boundaries like I have. He finds it easier to really relax in situations like we had in Waihi Beach: He literally could not check his email or read the news. I think either method of setting boundaries works. If you’re a manager of any sort, learning how to set and stick to soft boundaries will serve you well: It makes it easier to head off on vacation without worrying about what you’ll find when you return. You know that if something truly urgent about which you have unique information comes up, your colleagues can reach you and you can help. Sometimes a five minute interruption to your vacation can save you hours of damage control when you return. I am a big proponent of delegating and cross-training to make vacations easier, and so usually, no one needs to reach me. But knowing they CAN if they need to gives me peace of mind. I also find that the same ability to feel unplugged without being totally unreachable makes it much easier for me to rest and recharge on the weekend and in the evenings. Still, I know that not everyone can maintain a soft boundary. Once you’ve checked your email for anything with URGENT in the subject line, it is tempting to skim the other subject lines, and maybe open and answer an email or two… and before you know it, you aren’t really taking time off, you’re just working from a more scenic location. The most important thing is that you find a way of setting boundaries that works for you, so that you get a real vacation, in which you feel like you’re truly “off.” I consider real vacations essential. I left for vacation feeling pretty frazzled and burned out. I came back from our vacation relaxed and refreshed and ready to deal with whatever my projects throw at me. Of course, that’s not to say I didn’t miss the beach and the long, warm summer days…. 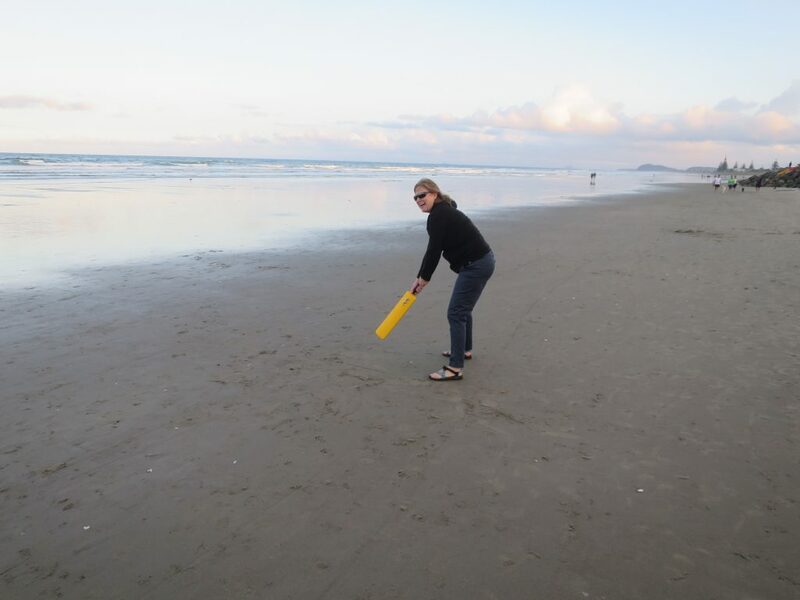 Learning how to play a beach cricket game called Bat Down after dinner one evening. This picture was taken at 7:45 p.m. At 7:45 p.m. at home right now, it is completely dark.